English economist and logician whom, simultaneously with Carl Menger and Léon Walras, launched the Marginalist Revolution of 1871-4 that gave birth to Neoclassical economics. Stanley Jevons (as he preferred to be called) was born in Liverpool on September 1, 1835, the ninth child of a family of prosperous iron merchants. However, the death of his mother in 1845 and the collapse of the family firm in 1848 circumscribed Jevons's opportunities. His early education was acquired at home, the Liverpool Mechanics Institute and finally at a preparatory school in London. As a Unitarian (a liberal non-conformist Protestant sect), Jevons was legally barred from taking the traditional educational route through Oxford, Cambridge, etc. So, in 1852, Jevons entered University College London (UCL), a Benthamite institution that accepted non-conformists, to study chemistry, mathematics and logic. It was here that he came under the influence of the logician Augustus De Morgan. However, financial circumstance forced him to withdraw in his second year and accept a post as Assayer at the new Royal Mint in Sydney, Australia. 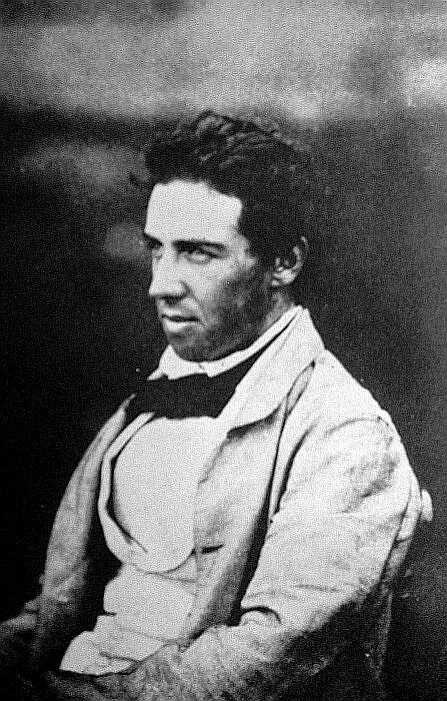 After arriving in Sydney in 1854, Jevons spent his spare time (and there was plenty of it, as the mint was still not ready) studying the climate, geography, geology and flora of Australia. He took daily meteorological observations (routinely forwarded to the Sydney newspaper Empire) and hobnobbed with the local scientific community. A local dispute over railway funding led Jevons to study up on economics. It was in connection with this that Jevons acquired a copy Dionysus Lardner's 1850 book, Railway Economy, which, significantly, contained a geometric treatment of demand and supply. After his father's death in 1855 and a bit of soul-searching, Jevons returned to London in 1859 and earned his B.A. in at UCL in 1860. His M.A. in Logic, Philosophy and Political Economy was acquired in 1862. In that same year, Jevons sent two papers to the British Association meetings at Oxford. The first discussed his ideas about how to introduce mathematical methods and subjective utility into economics (a version was later published in 1866). The second paper was a study of seasonal fluctuations in economic activity. In 1863, Jevons published a monograph computing the impact of the Australian and Canadian gold rushes on the general price level (here, he introduced a novel method of constructing price indexes using the geometric mean). None of these early economic publications garnered much response, so he moved back to philosophy and logic. In 1863, Jevons published his Pure Logic, wherein he improved the symbolic logic schema pioneered by George Boole and his teacher Augustus De Morgan. Jevons also introduced his own system of logic, the "substitution of similars" (restated in 1869). In essence, Jevons forwarded the idea that logical problems can be resolved exactly like algebraic equations just by stating the statements symbolically and then substituting elements with similar properties. For instance, "All men are mortal" and "Socrates is man" is resolved quickly by the algebra-like substitution of the common element in both statements ("man"), to yield the conclusion "Socrates is mortal". This may seem self-evident for simple syllogisms, but Jevons was convinced that more complex logical problems could be solved in this manner. Jevons spent the next few years working as a tutor and part-time lecturer at Owens College in Manchester and Queen's College in Liverpool, which translated into professorships in political economy in 1865. It was during this time that he wrote his 1865 Coal Question, an alarmist treatise drawing attention to the imminent exhaustion of energy supplies. It was in here that the so-called "Jevons Paradox" was first posited, i.e. that an improvement in the efficiency of resource-use leads to an increase (rather than a decrease) in the use of that resource. The book sold well and was widely discussed in government circles. It brought a small degree of fame to the young Jevons. In 1866, Jevons returned to his study of periodic fluctuations outlined earlier in 1862, noting how 'breaches in credit' in the crises of 1836-37, 1847 and 1857 seemed to be concentrated in the months of October and November and speculating on the possible causes of high pressure during those months. Following the cycle data of fellow Mancunian John Mills, Jevons unveiled his climate theory of cycles more fully in 1867-8. He followed this up with a series of insightful papers on currency and coinage (later collected in his Investigations (1884)). In 1866, Jevons was appointed Professor of Logic and Philosophy at Owens College and, soon after, he married Harriet Ann Taylor (no, not that one; this one was the daughter of a newspaper baron, the founder of the Manchester Guardian). "To the reader of the preceding paper it will be evident that mechanism is capable of replacing for the most part the action of thought required in the performance of logical deduction. Mental agency is required only in interpreting correctly the grammatical structure of the premises, and in gathering the purport of the reply... The machine is thus the embodiment of a true symbolic method or Calculus" (Jevons, 1870: p.517). His research on logic was interrupted in 1870 when Fleeming Jenkin sent him a copy of his pamphlet on mathematical economics. Fearful of being upstaged, Jevons dashed off his Theory of Political Economy in 1871, expanding on the themes of his earlier 1866 paper and launching the Marginalist Revolution in the process. Jevons's TPE begins by outlining the principle of diminishing marginal utility and showed how it governed individual choice via the equimarginal principle. Proceeding on to the context of a pure exchange economy, Jevons showed how this principle served as a foundation for a new and comprehensive theory of value. By combining two "laws" of exchange -- that every exchange must be mutually beneficial and that every portion must be exchanged at the same rate (his famous "Law of Indifference") -- Jevons came to the conclusion that a higgledy-piggledy exchange process (without price-taking behavior) will work its way necessarily to the market equilibrium. Several reviewers, most notably Francis Ysidro Edgeworth (1881), disputed this conclusion, arguing that the point at which exchange would cease was indeterminate. Although Jevons acknowledged that indeterminacy would arise if indivisible commodities were involved, he did not see the connection Edgeworth was trying to make between indeterminacy and the "degree of competition". In his attempt to extend his theory to a production economy, Jevons introduced his disutility theory of labor supply (which later precipitated a debate over cost theory) and his time-dependent theory of capital (anticipating the Austrians). Although these ideas were individually groundbreaking, they were not very well-integrated with each other or the remainder of his theory. Unbeknownst to Jevons, Carl Menger (1871) had just published a book expounding the same theory and, a little while later, Léon Walras (1874) presented his own version. The Marginalist Revolution had taken hold independently at three axes. Jevons got in contact with Walras in 1874 -- the latter recognized the former's claim to precedence, while the former recognized the latter's claim of independent discovery. They promised to join forces to perpetuate the new gospel but, for reasons not altogether clear, Jevons did a bit less than he promised to do. Despite the fact that both men traveled to each other's countries on several occasions, they never succeeding in meeting. Soon after the publication of the Theory, Jevons grew gradually aware that, in fact, many other earlier writers -- such as Cournot and Gossen -- had anticipated many of his economic ideas. He was half-disappointed by this, but, at the same time, it confirmed his conviction that his theory was probably right. In his revolutionary zeal, Jevons had not withheld his punches, bitterly accusing the reigning (but moribund) Ricardian School -- particularly John Stuart Mill -- of seriously retarding the development of economics through "the noxious influence of authority" (Jevons, 1871: p.275). Contemporary Classical economists realized that Jevons was calling for subversion and responded accordingly, thereby inadvertently make his theory better known. In 1874, Jevons published his masterpiece of scientific methodology, Principles of Science, wherein he presented his theory of scientific inference. Following up on De Morgan and Whewell, Jevons took aim at the empirical approach of John Stuart Mill. Induction, Jevons claimed, "is simply an inverse employment of deduction." (1874: p.viii). While championing the hypothetico-deductive method, Jevons recognized that it yielded, at best, only partial knowledge. In order to make a "perfect" induction, Jevons argued, it is necessary to list in the premises all the possible cases or instances from which the empirical conclusion can be derived. But, in most matters, such a complete enumeration cannot be done in practice. As a result, Jevons's argued, "general laws" are at best only "probable". He introduced, in the process, an epistemological theory of probability, arguing that probabilities are mere "measures of ignorance" or, as he liked to call it, measures of "rational expectation" (i.e. reasonable belief). "If an event can be produced by any one of a certain number of different causes, all equally probable a priori, the probabilities of the existence of these causes as inferred from the event, are proportional to the probabilities of the event as derived from these causes. (Jevons, 1874: p. 242-243). Jevons's method is merely an application of Bayes's Theorem, e.g. suppose P(x | A) = p, P(x | B) = q and P(x | C) = r are the conditional probabilities of consequence x from hypothetical causes A, B and C. So, we can evaluate the hypotheses by calculating P(A | x) = p/(p + q + r), P(B | x) = q/(p+q+r) and P(C | x) = r/(p+q+r) and choosing the one with the greatest probability. This seems straightforward enough. However, the idea that inductive knowledge was mere probability -- David Hume's old saw -- flew in the face of the scientific consensus of the time and caused a bit of an uproar. In 1875 and 1878, Jevons read two papers before the British Association which expounded his famous "sunspot theory" of the business cycle. Digging through mountains of statistics of economic and meteorological data, Jevons argued that there was a connection between the timing of commercial crises and the solar cycle. The basic chain of events was that variations in sunspots affect the power of the sun's rays, influencing the bountifulness of harvests and thus the price of corn which, in turn, affected business confidence and gave rise to commercial crises. Jevons changed his story several times (e.g. he replaced his European harvest-price-crisis logic with an Indian harvest-imports-crisis channel). However flimsy his explanations, Jevons believed that the periodicity of the solar cycle and commercial crises -- approximately 10.5 years, by his calculations -- was too coincidental to be dismissed. Needless to say, all this was a bit on the cranky end and, ultimately, the statistics did not bear him out. Nonetheless, it remains a significant piece of work as this was perhaps the first time that the phenomenon of the business cycle was identified. Economists had long been aware that business activity had its ups and downs, but not that they necessarily followed any regular pattern. They generally believed that "crises" arrived haphazardly, punctuating the smooth advance of the economy at irregular intervals. Jevons was perhaps the first economist to argue that the phases of business activity had a regular, measurable and predictable periodicity. Although Jevons had renounced Benthamite utilitaranism as a workable political or ethical philosophy in his 1871 Theory (as distinct from the use of the utility concept to illustrate the "simple and restricted" problem of economic exchange), his work on social philosophy and public policy (1879, 1882, 1883) resurrected the theme. Once again, he targeted John Stuart Mill -- particularly his distinction between "higher" and "lower" pleasures. Jevons did not deny, to use his famous example, that a public library increased "social utility" more than a race-track, but he denied that its superiority lay in Mill's distinction between a "high quality" pleasure (reading) and a "low quality" pleasure (betting). Instead, Jevons argued, libraries yield a higher quantity of social utility than racetracks. Races yield intense but momentary pleasure. Reading is longer-lasting and more fruitful. Thus, measured over a lifetime, reading yields a greater quantity of pleasure than betting. Jevons also denounced Mill for failing to incorporate Spencer's evolutionism into utilitarian doctrine. Jevons's economic policy positions, although broadly in line with a laissez-faire attitude, fall short of being doctrinaire. Where government policy can increase happiness in one segment of the population without diminishing that of another, it should be pursued -- albeit with caution to ensure that all indirect effects are accounted for. Trade unions, to take his famous example, fail on this criteria as their gains often come at the "expense" of consumers and non-union workers. In 1872, Jevons was elected a Fellow of the Royal Society and, in 1876, he was appointed Professor of Political Economy at University College London. Disliking lecturing and plagued by ill-health, he retired in 1880. Against his doctor's warnings, Jevons continued swimming regularly, his favorite recreational activity. In 1882, he drowned at sea off Devon. An avid book-collector, Jevons left behind a library of several thousand volumes and (anticipating a future world-wide shortage), an enormous stock of blank writing paper. The impact of Jevons on economics can hardly be exaggerated. As the father of Neoclassical economics, his legacy is secure. However, in some ways, he stopped short of the mark. Jevons could have gone further by connecting his insights in pure exchange into a wider theory incorporating production, capital, money and the business cycle in a more systematic and consistent manner that would have knocked the Ricardian School completely out of the picture. Had he not died so young, Jevons might yet have done so, but the next economics treatise he was working on (published posthumously in 1905), did not really seem to go in that ambitious direction. As such, by the time of his death, the Marginalist Revolution was still in its insurrectionist phase. It was still a tentative proposition rather than a firmly-set and integrated system, a scientific hypothesis but not quite yet a science. Strangely enough, the task of completion was taken up by Alfred Marshall, whom Jevons initially thought a disciple but ultimately turned out to be a rival. Marshall's Neoclassical system, a woolly compromise between the Ricardian and Jevonian theories, was to rule Anglo-Saxon economics for the next half-century. Jevons's considerably more radical vision was carried on by a small group of followers -- notably Francis Ysidro Edgeworth and Philip H. Wicksteed. In the 1930s, as the Marshallian consensus collapsed, Jevonian radicalism re-emerged in Britain (esp. at the L.S.E. ), this time hand-in-hand with the Austrian and Lausanne theories. 1867 "On Coal: Its importance in manufactures and trade", 1867, Science Lectures for the People. 1869 "On the Pressure of Taxation", 1869 (gov. report, repr. in Jevons 1905). 1869 "On the Work of the Society in Connection with the Questions of the Day" (Inaugural address as president of the MSS, Nov, 1869), Trans of Manchester SS. 1870 "On Industrial Partnership", Apr 1870, lecture at NAPSS [pub. in Jevons, 1883]. Principles of Science: A treatise on logic and scientific method , 1874. 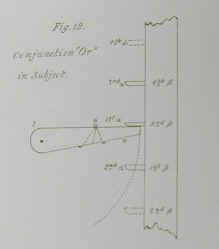 Primer of Logic , 1876. "Preface", 1880, in L. Cossa, Guide to the Study of Political Economy. The State in Relation to Labour, 1882. Methods of Social Reform, and other papers, 1883. Studies in Deductive Logic, 1884. Mind 1878 controversy over Jevons's "J.S. Mill's Philosophy Tested"
"William Stanley Jevons: Obituary Notice" by R.H. [Harley] in Proceedings of the Royal Society of London, 1883, Vol. 35, p.i-xii. W.S. Jevons entry at MacTutor History of Mathematics Archive.